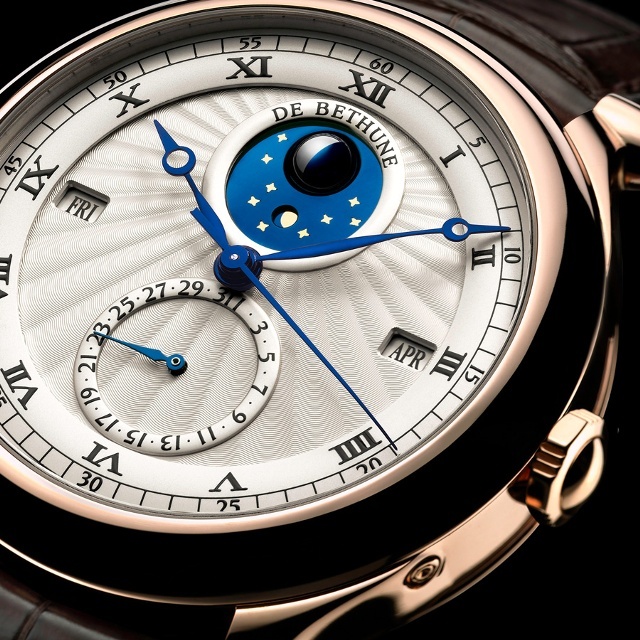 De Bethune’s new DB16 attributes contemporary architecture of the DB2509 calibre to it being built around a 30” tourbillon in silicon and titanium. It beats at 36,000 vph, comprising 64 parts weighing a total 0.18 grams. The movement is also equipped with a power indicator, a seconds indication, and a retrograde moon-phase indicator that facilitates setting the moon to the exact date. Hidden on the back of the watch, a classically understated dial on which the perpetual calendar and moon-phase displays, enhanced by the Manufacture’s characteristic silver-toned guilloché pattern. 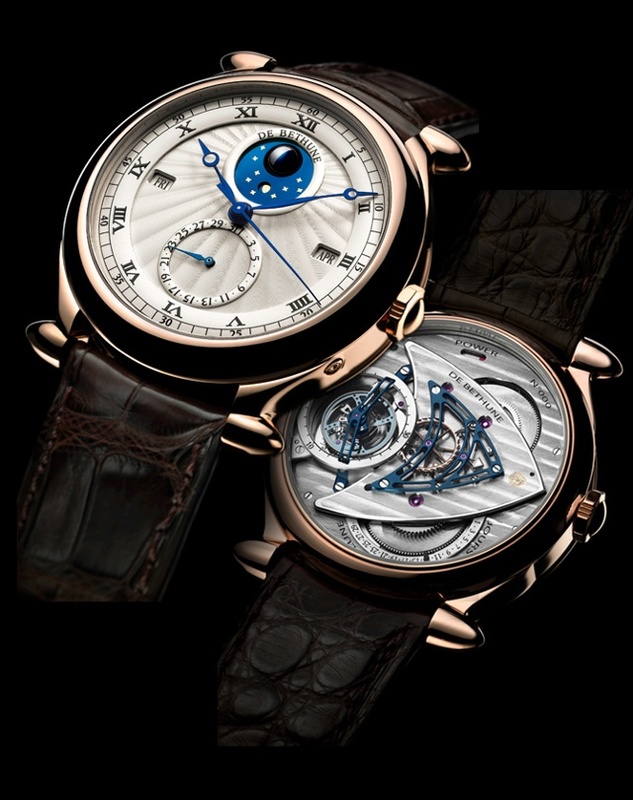 Functions: Hours, minutes, central jumping seconds, perpetual calendar, moon phase and leap year indicators, tourbillon with 30-second indication, power indication and age of moon indication. Dial: Silver-toned with sunburst guilloché motif. Apertures indicating day of week, date and month. Starry sky in flame-blued steel with spherical moon-phase indicator in platinum.